Panasonic today officially released the full details of the full frame S system they previewed at Photokina last year, including availability and pricing. At launch, there are two cameras and three lenses (plus other L-mount lenses from the alliance are available). 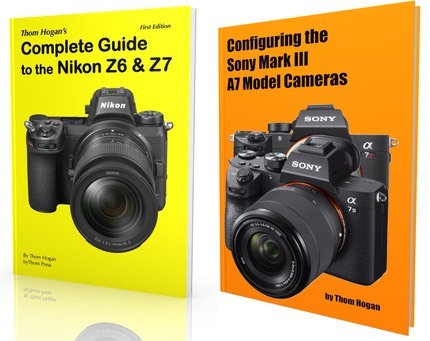 The cameras are the S1 and S1R, mimicking what Sony has done with the A7 and A7R and Nikon has done with the Z6 and Z7. The S1, like the Sony/Nikon offerings, is 24mp, while the S1R is a high megapixel camera, with 47mp making it slot in slightly above Nikon's Z7 and a bit more above Sony's 42mp A7R series. Probably the two features that really stand out (given the existing competition) are the pixel shift capabilities of the two cameras and the viewfinder. The EVF is a 5.76m dot one, a push upward from the 3.69m dot viewfinders used by most others. It's also unusual in that the S1/S1R EVF can be adjusted for magnification from 0.7x to 0.78x. 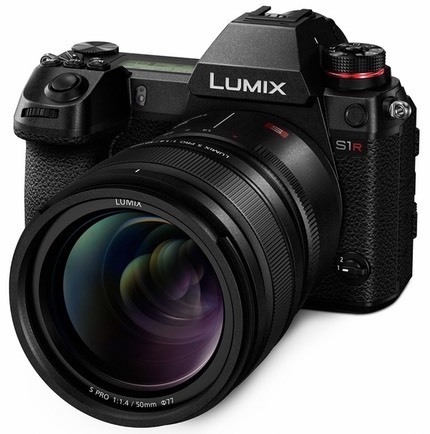 Additional specs that stand out are: Panasonic once again offers an optional XLR mic accessory, and the S1 does oversampled 4K video, much like the Nikon Z6 (the S1R is binned). We get HLG support, ala recent Sony cameras. Panasonic also offers two video-related aspect ratios for stills other than 16:9: 2:1 and 65:24. More interesting, Panasonic joins Nikon in using XQD cards, with one XQD card slot and one UHS-II card slot. The XQD card slot will be firmware upgradable to CFExpress. Panasonic is still all-in on DFD focus instead of phase detect. DFD uses contrast detect with lens tables to determine focus distance and direction. To achieve fast focus, DFD brute forces the data stream, at up to 480 fps to be able to get phase detect like performance. As usual, I have the full specifications for both cameras in the camera database elsewhere in this site if you want to drill down into specifics. As I noted at Photokina, Panasonic has chosen to join with Leica and Sigma to form a new lens mount alliance (L-mount). That means from day one there will be range of lenses available (look at the SL lenses in the Leica database on this site), though those tend to be pricey. That includes a 16-35mm wide angle zoom, one of the optics that Panasonic isn't producing yet. In terms of lenses announced by Panasonic, we get two f/4 zooms (24-105mm and 70-200mm) plus a fast prime. The fast prime is a 50mm f/1.4 that weighs in at a hefty two pounds and over US$2000. This is the same issue we had with Leica in the SL: big and heavy and pricey. Even the Canon 50mm f/1.2 lens is lighter, though not by a lot. This makes Nikon's 50mm f/1.8 choice at 14.7 ounces look svelte and the Sony 50mm f/1.8 look like a lightweight at 6.6 ounces. The most recent Nikon F-mount 50mm f/1.4 is also only 9.9 ounces (though it isn't regarded as a strong optical performer). Thus, the S Pro 50mm f/1.4 definitely gets an eyebrow raise from me. At US$2299 and such size and heft, I have to wonder if Panasonic isn't shooting a bit too much on the high side here. Sure, the S1R has the ability to do big-a** resolution with the pixel shift feature, but just how many people are wanting to do that and maximize optics with a 50mm f/1.4 lens? Given that Leica already had this base covered with the L-mount Summilux 50mm f/1.4 and Sigma is almost certain to bring the corresponding Art to the platform quickly, I have to wonder why Panasonic is attempting to shoot the same target. There had to be a better choice here. The zooms, on the other hand, look dead on. The 24-105mm f/4, in particular, looks like it's sized, specified, and priced just about right. I'm particularly impressed by the 1:2 maximum magnification ratio, which makes that lens much more of an all-around useful lens than we've gotten from some others in the mid-range out of the gate. Both the zooms have OIS, as well, meaning that they get some benefit of the dual IS approach at the telephoto end, another nice touch. All the lenses are built to a dust-proof, drip-proof standard and are well weather sealed. All of which brings us to the broader issue here: where does Panasonic fit into the other offerings that are available? Surprisingly to some, Panasonic's shooting at a bit higher target than Canon/Nikon/Sony, though I'd argue that they're not that far above and that this will not hold for long. In particular, the pixel shift and viewfinder are pushing beyond the offerings of the Big Three, but that's also pushing the price point up some, too. But it makes sense. Panasonic is a strong high-end provider in digital video, particularly with the Varicam offerings. To a large degree, the S1 series is shooting at the same level as the bottom of the Varicams: very sophisticated and enlightened shooters that are looking for high end quality and feature sets. The general commentary that started with Photokina was that Panasonic was tackling a monster—Canikony Full Frame—that couldn't be slain. I don't quite look at it that way. Panasonic certainly has a consumer division, but the S is not a product of or for that group. The S is the product of the pro Panasonic side, and it shows in almost every design choice they made. Panasonic's not really looking for volume here, they're looking for a few good soldiers, uh, I mean customers. To that degree, I think they've succeeded. Moreover, it leaves the m4/3 ground for them to explore for the true consumer experience. The G9 starts to make a lot more sense now as it's really a consumer-oriented GH5/S1 when you look at it carefully. The interesting thing is that Panasonic's announcement comes right on the heels of Olympus's. The difference is telling. Olympus swung and missed with the E-M1X, in my opinion. A top-end pro m4/3 camera like that has very few actual potential existing upgraders, and almost no new customers. (Olympus claims (1) a few top m4/3 users will update; (2) some APS-C shooters will cross over; and (3) D5/1D users will be samplers! I'd like some of that drug they're using in Tokyo, please.) Meanwhile, Panasonic has announced a camera that probably also won't sell in great quantity, but makes full sense to their overall still/video lineup, and probably will attract a few new users. I'm sure you'll see some of the usual Internet Angst over in the Canikony Fan Domes, but as usual it's not particularly warranted. Oh, Canon is temporarily playing catch up, with only one slightly odd-ball full frame mirrorless camera at the moment (it's not low end, it's not high end, it has some different UX than Canon norm). And yes, Sony is falling behind in the megapixel race, much to their chagrin. But I don't think the dynamics of the market are going to be any different than they have been now that the Panasonic offerings are out into the wild. Canon, Nikon, and Sony will continue to duke it out for #1, #2, and #3 full frame positions, playing off their bases and their broad consumer reach. Panasonic will quietly ease right into the #4 position and provide an interesting alternative that will get looked at by truly serious users who don't already have a vested interest in a mount (and maybe a few that do). Seems to me that Leica is the odd man out here, which is surprising given that it's their lens mount that Panasonic got permission to use. As usual, this is all good news for all of us. With Panasonic putting some competition into the top end of full frame mirrorless, the Canon, Nikon, and Sony teams will be scrambling to make sure that Panasonic doesn't get too strong a foothold.